A bathroom is an overlooked room of home but it always demands for some shelves, hooks and mirrors inside to organize the bathroom stuff like towels, shampoo, shaving apparatus, tooth brush and paste and other kinds of toiletries! Our today’s sharing is all about to give you a functional setup of bathroom shelves that can also be used as a towel rack at the same time! 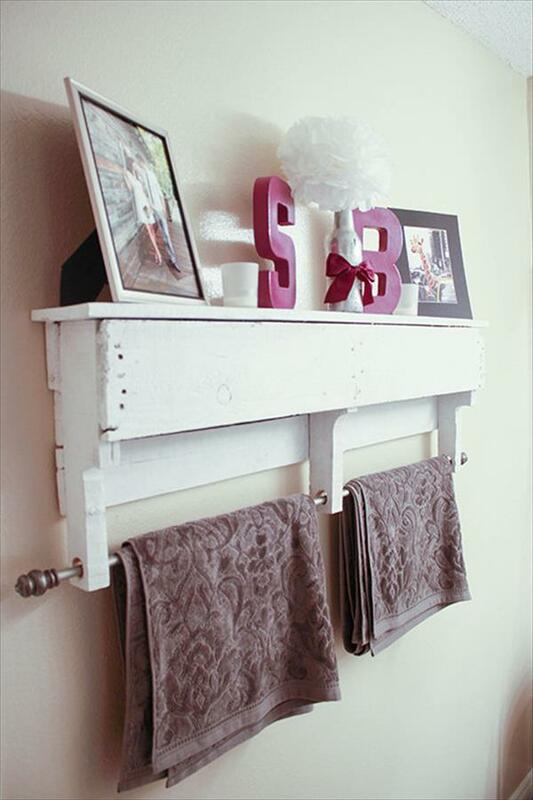 Build this dual functional DIY pallet shelf with coat rack and give a functional boost to whole of your bathroom interior! 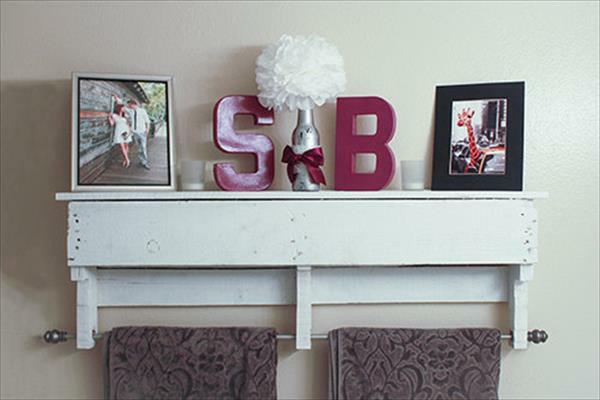 Shelf is made of pallets, using a very lower part of a pallet board and towel rack setup has been created using a metal rod with accent edges! Just drill the holes in both legs of the shelves and fit the rod in just to spread your towels on it! It can be displayed in any accent color but white has been selected here for a super gorgeous shabby chic look!